We now offer a scrumptious breakfast which will help give you the right start to your days out sight-seeing. 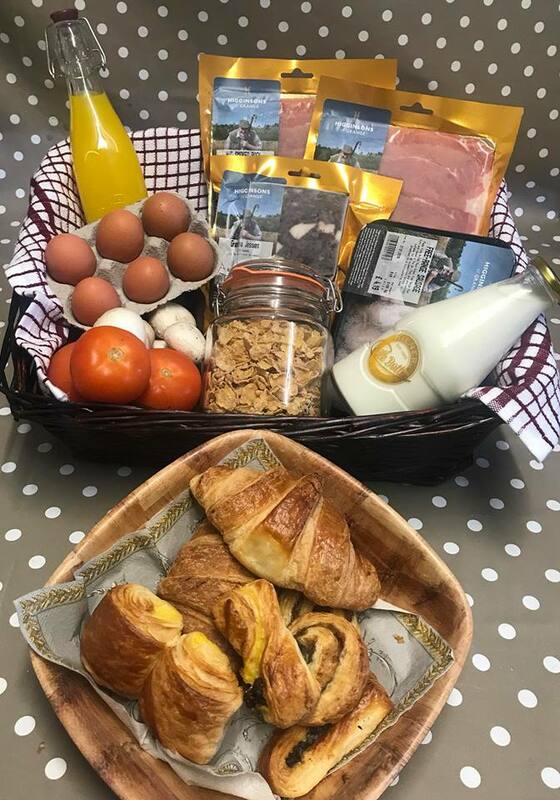 Pre-Order your Farmhouse Breakfast which is then deliverd to your Lodge or Yurt. We source our produce from local sources like Higginson of Grange (the butcher who will supply your Bacon, Sausage and Black Pudding). We use Eggs from our own happy flock of free range chickens. Content of each hamper may vary depending on local availability.